Today, the information agency Primamedia published the much-awaited lengthy interview with the General Director of the LLC JV “Stroitel”, Stanislav Malafeev. In this article, you will find answers to all the questions that might be of interest to you: about the stages of construction and the forced interruption, advantages of the house, due dates and further plans. Generally speaking, everything you need to know about the first skyscraper on this side of the Ural Mountains. What is more, you will find interesting facts, unique photos and a bright picture of our city’s future. 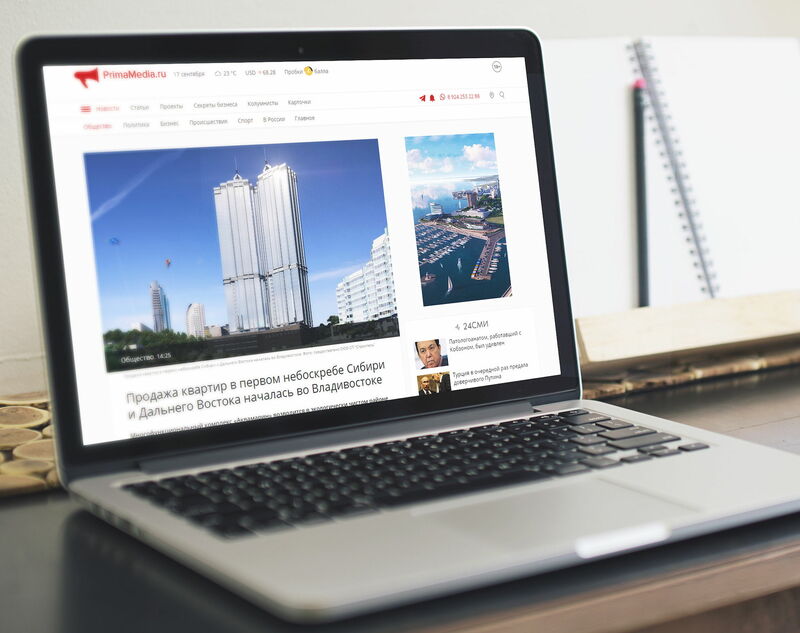 We recommend reading this interview to all who are interested in the project for construction of the residential complex Aquamarine and the rapid development of the Far East.